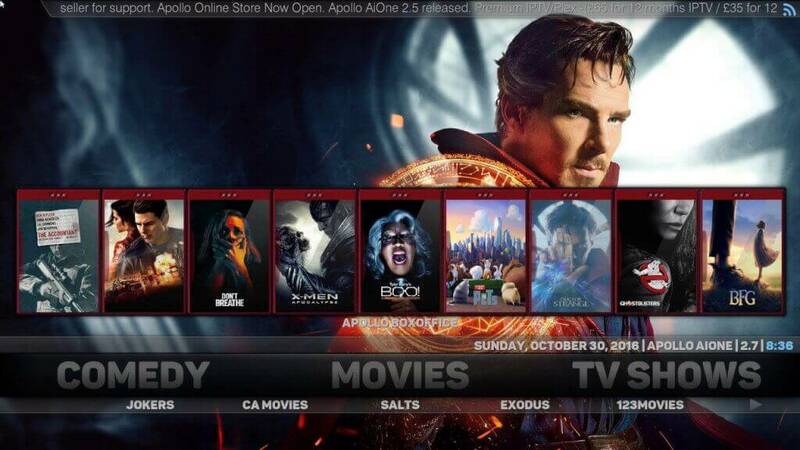 This guide will be showing you how to install the build “APOLLO AIONE” onto Kodi 17 Krypton and assumes you already have Kodi 17 Krypton installed on your device. If you want to install this onto an Amazon Fire TV Stick but do not have Kodi installed yet please click here. This is now one of the biggest and best Kodi 17 Krypton builds due to the huge number of addons and plugins it has available to be used. Do not miss out on this build! This build will allow you to watch unlimited FREE; live tv shows, movies, sports and much much more! Close Kodi, if you are on Windows/Mac/Linux this should happen automatically, if you are on an Android devices such as an Amazon Fire TV Stick simply pull the power from the back of device and replug in. ENJOY YOUR UNLIMITED FREE CONTENT!